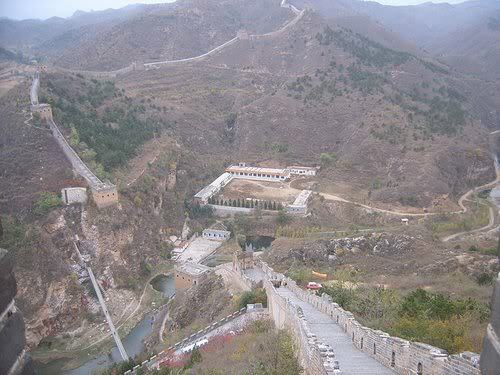 The sections of the Great Wall at Simatai and Jinshanling are less developed and in a more "natural" state than the sections closer to Beijing. It takes about three hours to drive here and the drive is well worth it. 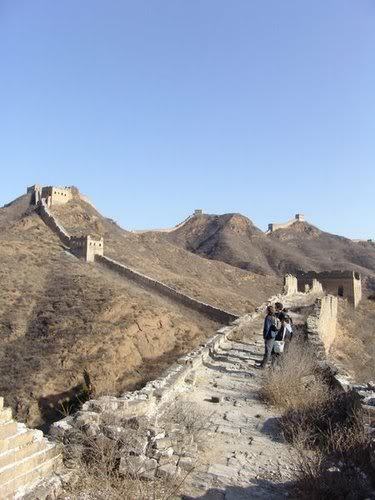 There are fewer crowds and you quickly leave the hawkers behind. 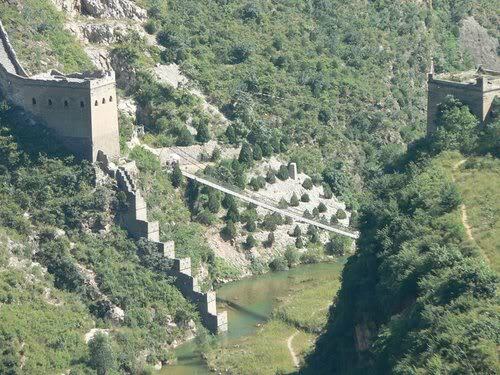 Both Simatai and Jinshanling can be explored independently, but we combine both these sections since the most popular of the Great Wall hikes is the one from Jinshanling to Simatai. 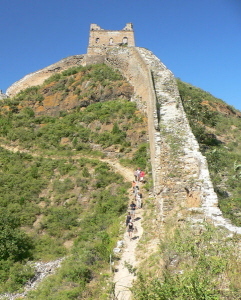 Many parts of the wall along this section have not been fixed up or restored in any way, which gives you in a way a more "authentic" experience but also a tougher trek. 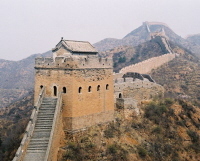 If you arrive at Simatai there are a number of options to get to the wall. 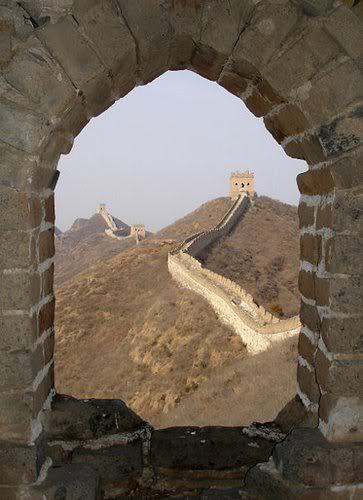 (1) You can climb up to the wall from the entrance area. 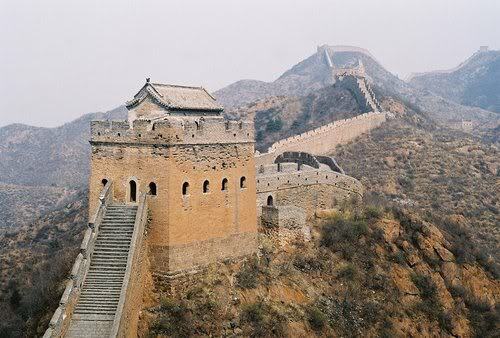 Stairs are steep and irregular, so really have to watch your footing here. This hike is not recommended if you are in marginal shape. Better to consider the next option. 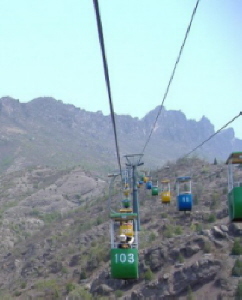 (2) Take the small cable cars that bring you half the way up. From there, you can take another "trolley" to haul you the rest of the way. There is a chance the cable cars won't be running depending on weather and high winds, so be prepared to hike if you have to! 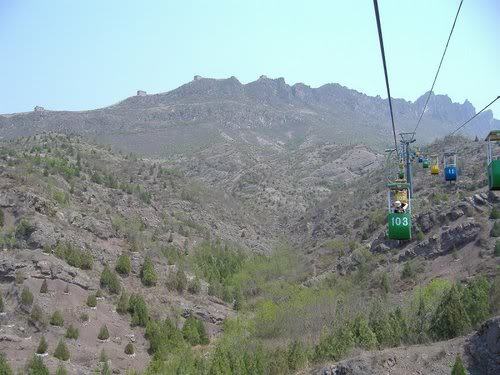 If you arrive at Jinshanling there is also a cable car to bring you up to the wall. 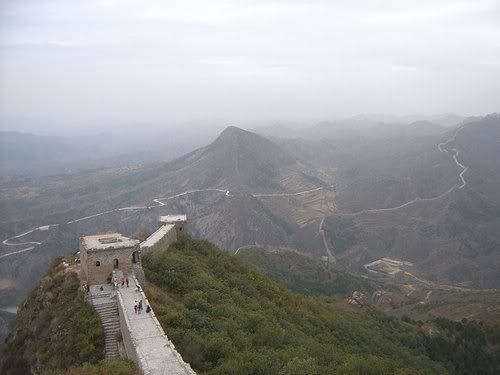 The trek from Jinshanling to Simatai is about 10 km. and will take you about 4 hours. 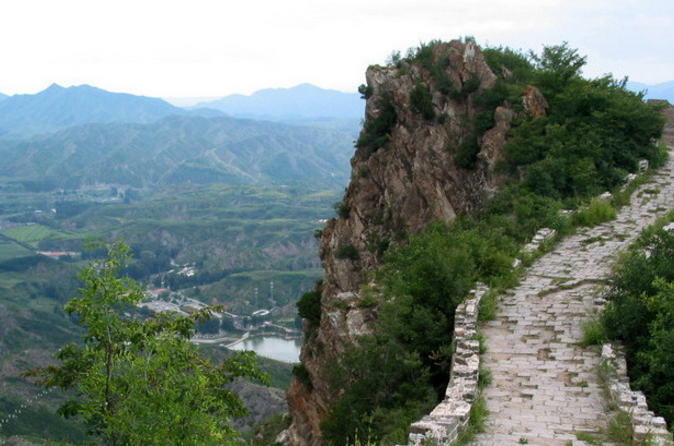 The first part of this trek is in fairly good shape, but then it deteriorates and becomes more treacherous, very steep at points with loose stones and bricks, so watch out. You can bring a picnic lunch for a nice break in the middle. 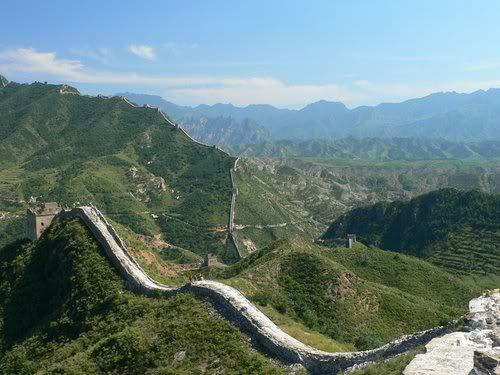 The view is amazing specially as you approach Simatai and the trek is slightly easier towards the end. Watch this video to give you an idea of the trek and great views from here. 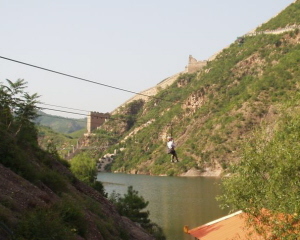 There is a great incentive at the end, a zip-line that whips you from the final few hundred feet and over a river, down to the other side of Simatai. Watch this short clip from the Simatai zipline here. If you prefer, you can walk down to the hanging bridge to get over to the other side. Remember to bring money along. 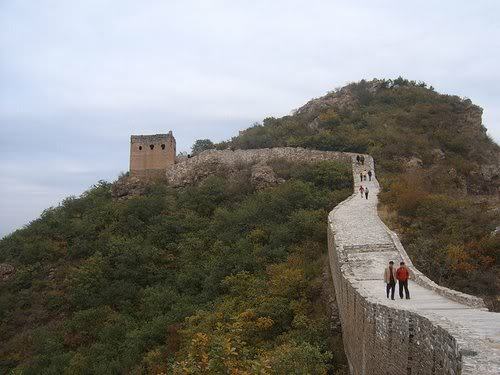 You need to pay another entrance fee when you cross to Simatai, and also for the bridge or zip-line. If you are doing this on your own, easiest thing is to hire a taxi which will cost you approximately US$80-$100 for the day, for 3-4 people. Remember you are expected to bargain! You instruct the driver which section you want to go and where to pick you up. 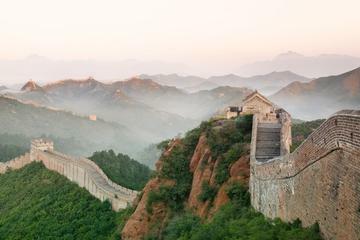 If not everyone in your group wants to do the Jinshanling-Simatai hike, part of the group can be dropped off at Jinshanling and the rest at Simatai where the driver waits to pick up the entire group later in the day. 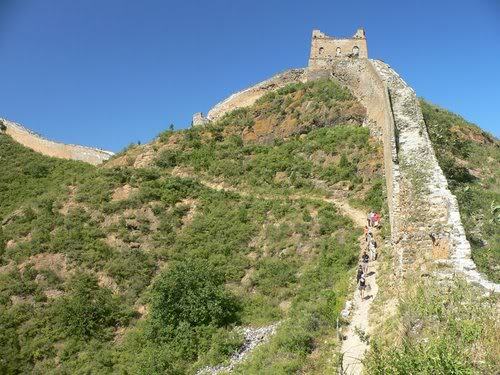 The pre-arranged Great Wall Tours generally stop at several shopping spots but can be the more economical option. If you go with kids, the private option is best. You don't wait for anyone, and most important, you go at your own pace. 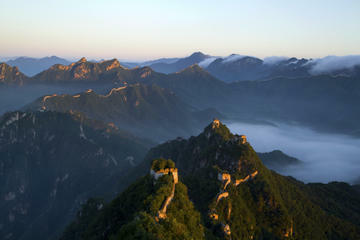 Have you been to Simatai/Jinshanling recently? Drop us a line and help us keep our info updated! 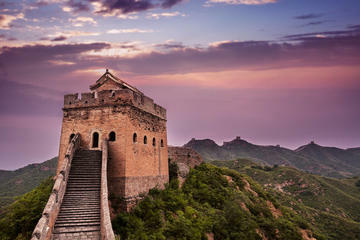 Share your photos and stories and create your own Web page here at China-Family-Adventure. It's easy! Here's how!